For anyone in the running community, it’s no secret that my running has struggled over the past few years. 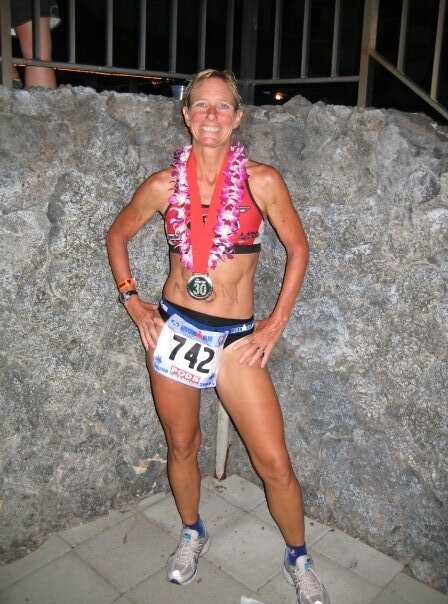 I had a good year in 2011 when I turned 50 and competed in the Ironman World Championships in Kona, placing 6th in my age group (coming so close to my lifelong dream of top 5 there! ) I ran fairly well there – a 4:10 marathon after a tough, windy bike and 108 degree temperature for the run. Unfortunately, I have struggled with my run ever since. Anything under 8 minute pace was tough and hills (which I had always loved) were a real struggle. Why? I’m not sure, but it was probably a variety of reasons – too many Ironmans, marathons run close together, the huge amount of miles I put in on the bike that year to prepare for Ironman Lake Placid and Kona causing very tight hip flexors? All I know is that it was very frustrating. I worked very hard and I tried to enjoy it but when it doesn’t produce the desired results, it can be tough. By the spring and summer of 2014 I was still struggling. The summer run series was more social then competitive. My IMLP run, NYC marathon, and Las Vegas marathon were well over what they should have been. The frustration continued. I began training for the Surf City marathon, thinking “I’ll be faster this time.” But just the opposite happened – the harder I trained, the slower I got. The final straw was when I ran really hard at the Ho Ho Ho 5k and ran 27 min, which made me feel so embarrassed! After that, my coach Mike Monestero from Babylon Bike suggested that I get a blood test. I assumed it would turn out to be low iron and my troubles would be over. I could run fast again, problem solved! Easy right? But wait, not so fast! After a series of blood tests that showed my thyroid was overactive, imagine me having something overactive! Further tests revealed I had Graves Disease, I was shocked because I never even heard of Graves Disease. Graves Disease is an autoimmune disease which attacks the thyroid.It is often hereditary but I didn’t know anyone in my family having this. After a little research I discovered every function of your body is effected by the thyroid, hair, nails, sleep patterns, digestive issues, eyes and most notably for me, accelerated heart rate, weight loss, muscle weakness, fatigue (which is why running was so hard). I’m usually never sick, but it did explain the other symptoms I was having – painful numbness in my hands, sweating, my period just stopping and never coming back and the weight loss. I had always been in the mid 120s but suddenly I was struggling to stay at 110. Of course, I knew this wasn’t good but I thought I looked great! Is it possible to think you look great, but feel terrible? Now what? Find a good Doctor! My first endocrinologist was not a good fit – 2 weeks for an appointment, 2 weeks for tests results, and no exercise at all! I panicked, what about Lake Placid, Jones Beach lifeguarding? He obviously didn’t know me, this was not going to work. Luckily for me, my good friend and running buddy Lesli Hiller, recommended her endocrinologist and everything changed. I met Dr. Irwin Klein and immediately felt at ease. 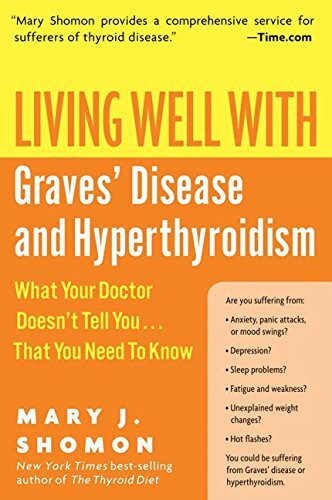 He explained the graves thyroid diagnosis, symptoms, treatment options, and said I had probably had Graves for a long time, which strangely made me feel better. Sometimes you think it’s all in your head. He also said I could exercise! Oh thank god, sanity! I could swim and weight train, but no biking or running. Graves drives up the heart rate to the point where it may not come down, so no running (that explains why it was so hard). By this time, running felt so awful that I was relieved to take a break but I was so happy I could still swim! Of course, I didn’t fully listen – I did run the Surf City Half half marathon. I mean, I was already signed up, right? Wow, was that a mistake! My good friend Lorraine Huether ran a great marathon and qualified for Boston while I barely shuffled through a very painful, tear-filled half. I cannot remember ever feeling so awful, wow was Dr.Klein right when he told me not to run. I was lucky not to end up in the hospital. Luckily, I recovered enough to have a beer or two after, but I was more than ready to give up running until I felt better! I thought, ok I’ll listen — I’ll listen! Radioactive iodine treatment seemed to be the best option for me. I had to take a radioactive iodine pill which essentially kills off the thyroid. 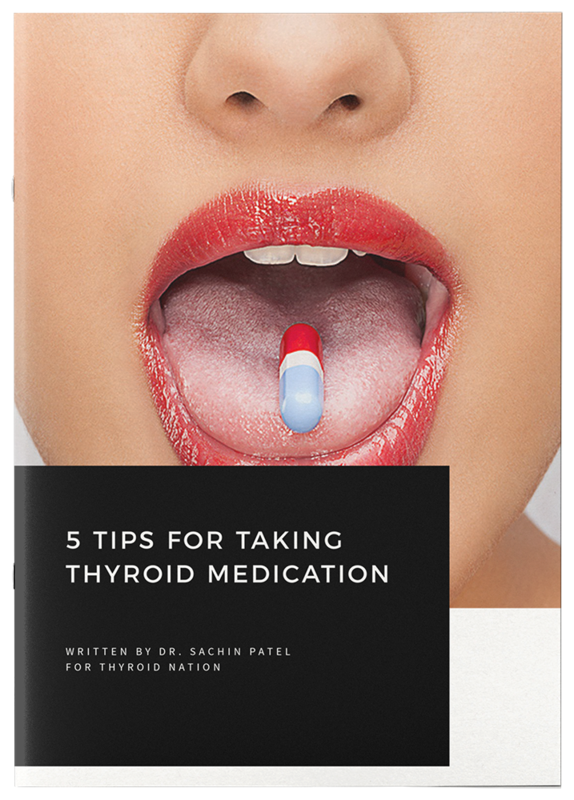 The thyroid absorbs the radioactive iodine, which slows down the thyroid to the point where it stops functioning and then medication is prescribed. This meant I would be on medication for the rest of my life, which I wasn’t happy about. But if that’s what it took to feel better, let’s do it! I had an Ironman coming up! I had to stay home, away from people and pets, use paper plates and wash everything twice – kind of funny when you think about it – I was radioactive, maybe my hair will be even shinier!? After treatment I felt the same, and had to wait 6 weeks or so for it to take effect. No running for the winter, so I swam, swam, swam and lifted, lifted, lifted. I have to thank my trainer Dave Graziosi at Nassau Aquatic Center for helping me maintain my strength during this time – when you’re 5′ 4” and drop 18 lbs quickly, you lose a lot of muscle. Dave was instrumental in helping me maintain my strength. My first attempt at coming back was Excel Masters swimming – 100 x 100 swim workout first weekend of March. Not a race, just a workout, but it is 10,000 yards (approximately 7 miles of swimming) all on a set interval. I had been swimming and lifting, but was I up for it? I was a little nervous. It turned out I swam 50×100 on 1:35 and felt good, so I finished the second 50 on a 1:30 base interval. Wow, so nice to feel great! I had felt terrible about missing the Caumsett 50k so I was so excited about this! My first run was at the end of March, the 2 mile relay hosted by LIRR. I was on a LITC/Runners Edge team so I tried to run fast. I ran 2 miles averaging 8:30 pace and it hurt but in an out-of-shape way, not a sick way. It was a slow time for a 2 mile race, but at least it was a start! Soon after was my next doctor visit, I had been going every 3 weeks and my blood levels had been good but now they had dropped significantly so I was placed on a low dose of synthroid. 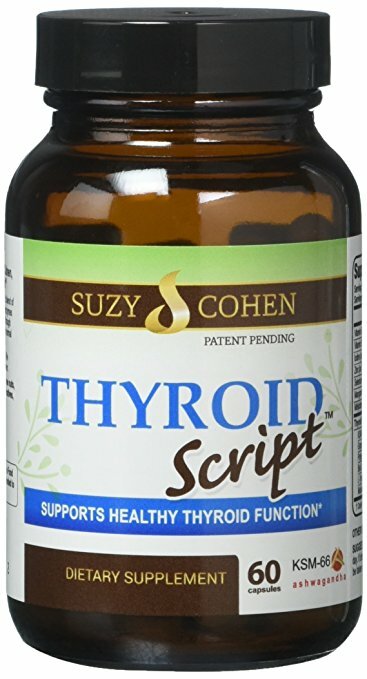 Thyroid medication for graves, daily for the rest of my life. I was not happy about it but what could I do? Would it work? Would I feel better? Triathlon season was starting, would I be ready for it? Did it matter? Of course it did, to me! I wasn’t quite ready for it, but I was so happy to be racing that I just did what I could. Raced the St. Anthony sprint tri and won the masters division, I won my age group at the Columbia Olympic tri (2:35), took 3rd OA at the Huntington sprint tri, and 3rd place in my age group in the tough Quassy half Ironman. I Thought this was pretty good considering the winter I had had, and I was having so much fun racing. But, Ironman Lake Placid would be a real challenge. My coach Mike tried to talk me out of it but hey, it was already paid for! And Ironmans are not cheap! So by June it was beach season and luckily I have the best job in the world as a Jones Beach lifeguard! The perfect job for Ironman training, you sit on the lifeguard stand for an hour and then you are down for an hour, so anytime the beach was not especially busy, usually early morning, I swam in the ocean ran the beach, continued my core and strength training and did my long rides on my 2 days off, not easy but doable. I had great support from my Central Mall lifeguards who probably thought I was a little crazy for doing so much (I have heard that before!) but underneath I was panicking that I wasn’t doing enough and wouldn’t “catch up” from my winter off. Then another obstacle, I injured my foot jumping off the lifeguard stand and could not run for most of July, ugh! But what can you do? Just make adjustments, swim/bike/strength train more and hope it will help. I got a cortisone shot under ultrasound and could run pain free just in time for Lake Placid, so with fingers crossed I was off to the race! Graves disease here I come. I was going to do this! Ironman Lake Placid is my favorite race and this was my 9th time doing it so I knew what lay ahead. But with my Graves and lack of running over the winter and most of July would I be ready? My coach Mike had faith in me and said I’d be fine as long as my nutrition was good but I was still nervous, who isn’t? It is a challenging course with a crowded swim, hilly bike course (an understatement) and as with any Ironman, it all comes down to the run, which was now my weakest event. Every Ironman has its challenges (2014 had heavy cold downpour during the swim and about 40 cold miles on the bike) and I certainly had mine this year but I had worked hard?! I had a good swim,1:00, 2nd age group, a good strong bike (6:12) both usual times for me, was pretty strong through most of the run except the last 2 miles. I just didn’t have those extra miles I needed in my legs and suffered from some dehydration, so I mostly walked/ ran the last 2 miles slipped from 3rd place to 5th, embarrassing for me but there was nothing I could do about it. I actually felt pretty awful and thought I was going to the med tent, but after I finished (12:13 ugh) my nephew was at the finishline with a nice cold Coors lite, I took 3 sips and felt much better! I should have had that at the 23 miles! So not my best time, but considering the year I had I was happy and I placed 5th age group, as long as I place I am not embarrassed (always a worry of mine). Now time to have a few beers and cheer on many of my friends who were racing. So much fun to be at the finishline at midnight, makes it all worth it. Heading to the brunch and awards the next day I was already saying to myself that I got through this year but my focus will be on making Kona next year, when I will be in the 55-59 age group. Kona for this year was not even a thought especially with a 5th place finish. I need to place top 2 in my age group to qualify unless one of those athletes turns it down then it rolls down to the third place, finishing 5th I assumed I was far out of it, and felt bad that I had let it slip through my fingers. I sat through the awards thinking that next year I would work my a** off, graves disease or not and race well and get my Kona slot. As they went through my age group, the first place woman didn’t take it (she goes every year) the 2nd place did but the third and fourth place did not! Omg Mike Reilly was calling my name for a Kona slot! I was so shocked I jumped up and down like a little kid! Wow not in a million years would I have thought I would go to Kona this year with the crazy year I had. Graves in the back of my mind. Never, never, never! I have qualified by a minute, missed by a minute, had a PR and still missed. The qualifying for Kona is such an emotional roller coaster and I have been on both sides of it, but this was never expected! And to add to the excitement that Kona was actually on my birthday! what a way to spend your birthday! The best phone call I got to make was to my coach Mike to tell him I qualified, I was so happy and I wanted him to be proud of me and thank him for sticking with me through such a tough year. I was literally jumping up and down. My next phone call haha was not so great I called my husband who had just left to tell him that we were going to Hawaii, he was not happy, as all he could think of was how to pay for it. Qualifying is great but paying for it is not, especially with kids in college and now with Graves disease added to that. The last time I went was 2011, and we decided I would not go again until I aged up 2016 but when Kona lands in your lap you cannot turn it down! At least I couldn’t especially after the year I had. We will just have to figure out finances. But wow I was on a high I could not come down from! What now? Back to training!!!! So excited but still had to train, by now I had a pretty good base in swimming and biking but still had to work on my run.Thankfully I had some good friends to train with. Not easy getting in a 23 miler in and then working at a busy beach all day, but doable. Glad to have Liz Fernandez (a Kona qualifer!) to ride with, Jones Beach guards to swim and run with and of course ,coach Mike to give me workouts and keep me from doing too much (who me?). Wanted to try liquid nutrition this time so I started using Infinite on long ride and runs and it seemed to agree with me. Before I knew it, training was done and it was time for Kona, Hawaii! I was nervous, I never feel like I have trained enough but Mike said I was ready and as long as my nutrition was good I would have a good race. I went to Kona a week early and stayed with my good friend Karlyn Pipes, a world champion swimmer who I had met in Kona and became friends with, graciously offered her home to me so I could adjust to the time change and heat. My husband, my sons Sean and Danny and my brother came a week later and after some light workouts race day was here! For the first time for me, the swim was split, pro men, pro women, men then women. The swim wave was all women but it was still pretty crowded and aggressive (Kona has increased in size from 1800 to over 2300 participants this year) and after the turnaround boat at the half way point, we started to run into and over the slower men, many of them doing breaststroke, making it difficult to go around. I had a good swim (1:05) a little slow for me but water was especially warm, 84 degrees! I had always worried about the bike portion in Kona. It is one loop, crazy hot, crazy windy, but to me the hardest part is its incredibly boring, miles and miles of black lava can make it seem endless (unlike Lake Placid whose difficult climbs and fast downhills are anything but boring!) I am always terrified of boredom but I seemed to get through the bike pretty well, it was hot (135 degrees) the wind while still tough, not as bad as other years I had been there,when I had seen people actually get knocked off bikes by wind gusts. My Infinite drink that I was counting on for my nutrition kept repeating on me so I had to adapt, toss it and use gatorade that was on the course. I was very careful to drink plenty (2 btls hour) and used Base salt frequently. I knew I finished the bike a little over 6hrs which is about usual time for me so I was very happy. You cannot help but be happy getting off the bike! I felt pretty good on the run through town down Alii drive to turn around and back. I saw my husband, boys and my brother was out around on a bike so I saw him several times. I was pumped! I was careful to drink plenty of water/coke at water stops which I usually do) I cannot look at gatorade by then, my mistake was not having enough electrolytes, I should have taken a container of the base salt with me for the run but for some reason I didn’t. Kona conditions are too harsh to let you get away with a mistake and wow did I pay for it! I felt great hold 9/9:15 pace through ten miles even up Palani hill where I saw my brother smiling at me telling me to hurry up! But by mile 12 I was like a car out of gas and ended up at a walk/run pace ugh! I was so upset how could I mess up nutritionally after so much work/time/money to get here? Ugh, I was so disappointed in myself. I stopped at the next few aid stations and took in as much as I could and by mile 18, the end of the dreaded energy lab I actually felt better! No more walking! It wasn’t easy but I ran the rest of the way back into town, so looking forward to that run down Alii drive, not my best race I knew but at least it would be over. The crowd down Alii drive is amazing and you know you are running on hallowed ground that has been blessed by Madame Pele and I was blessed to be here after all I had gone through this year with my thyroid and graves diagnosis. I saw my friend Jen a few feet ahead of me and so happy that we both had made it. It would be my slowest time (12:12) but here I was running down Alii Dr looking forward to the finishline and that cold beer that was waiting for me! Although I was not happy with my time, it was such a relief to be finished. I found out later that due to El Nino the race was much hotter than usual (121 degrees on the run!) and having a thyroid problem like graves, it makes you much more likely to have dehydration problems. Looking on the bright side, a 12:12 was 18th in the 50 age group but it was 6th in the 55 age group so there’s my motivation for next year! So, if you see me out training or racing this year gimme a shout out! Every lap, hill, mile, interval, repeat will be toward the goal of getting back to Kona and hopefully placing there. I have my work cut out for me, it won’t be easy but what is? Nothing is complete without a thank you to my husband Jack (who else puts up with 16 Ironman’s? ), family, friends and coaches, Jose, Goran, Dave and of course Mike, who’s faith in me got me through this difficult year, here’s to next year! Conquering Graves disease and the Kona Ironman Triathlon…..what a year! PLEASE take a moment to also ‘Like’ us on Facebook, Twitter and Pinterest. 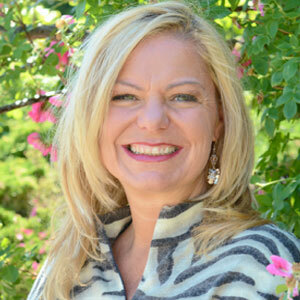 You can also listen to Tiffany and I on Thyroid Nation RADIO. Now, it’s your TURN: What has worked for you? What hasn’t? 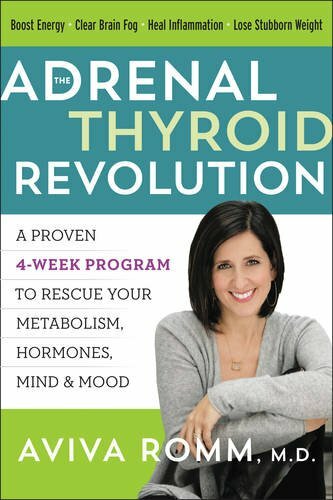 Are you noticing an improvement in your thyroid function and brain fog? You may just help someone else in need.